2017 is well underway and that means you should probably start planning your summer vacation. This may be the year you consider the untraditional route. You’ve been thinking about purchasing an RV. Congrats! Once you get your sweet ride you need to check all the great amenities and atmosphere of our Louisiana RV park! At Frog City RV Park, we make staying in your RV a breeze. We think it’s always beneficial to have your home away from home on wheels instead of being in a stuffy and non-personalized hotel room. Our RV park has a great pool, hot showers, laundry facility, free WI-FI and cable, and much more. Our Louisiana RV Park is wonderful if you want to check out everything that Lafayette has to offer, or if you are just stopping by on your cross-country road trip. Either way, if you are thinking about buying an RV there are some key tips you should know. RV’s are an investment, especially if you are getting a brand new fully loaded Class A. If you want to learn more about the classes of RV’s. check out this previous blog. One thing you should do before signing the dotted line is rent an RV first. Renting an RV and taking a road trip or just coming our RV Park in Louisiana will give you a feel for if you want to have your own. Plan a trip with your family and let the good times roll. Once the trip is over you will know if purchasing an RV is the right decision for your family. Also, speak to others who own or have had RV’s in the past. It will help you get a feel for how they feel about the home on wheels. There are plenty of friends to make at our RV Park and they will let you know what they love and don’t love about their RV’s! Once you know for sure you want to buy an RV, it is imperative to set a budget for your purchase. Price is going to help you narrow down what class of RV, and if it will be used or brand new. This will help determine what the material of the RV is and how often you’ll use it. If you plan on using it for an entire summer, splurging on something with more room and more amenities is a good idea. If you are only planning to use it throughout the year sporadically, something lower in quality but still comfortable and roomy is a great option. This is something you need to decide when you determine your price point. There are advantages to both. If you buy a brand new RV it will be up to date with technological features and amenities. It won’t have many miles on it if any at all, and you would be the first family to use it. Used RV’s are good in comparison because they are lower on the price bracket, you may have more options, and you can use some of the money you saved toward your actual RV trips, one being our Louisiana RV park! 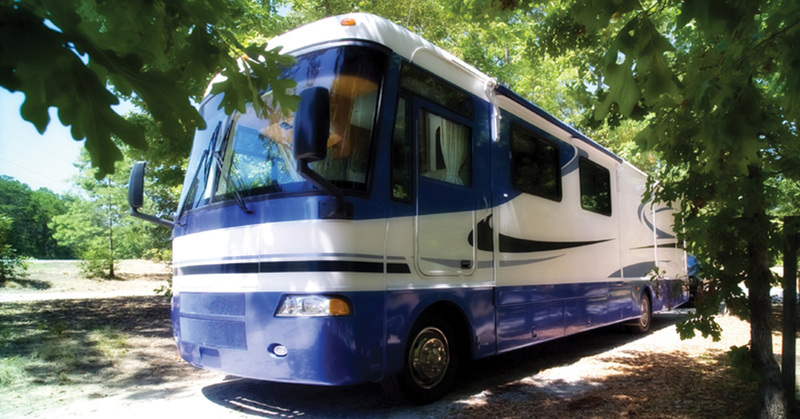 Buying an RV may seem overwhelming but with these tips, you will feel more at ease. Once you get your beautiful home on wheels, come on down to our Louisiana RV park! We have great amenities and great fun waiting for you!